Five prisoners ,a woman and four men,return to France after WW2.We follow their rocky road to life.It's a movie which consists of five different stories. The film depicts the extreme jealousy of a hotelier, Marcel (Serge Reggiani, then 42 years old), towards his wife, Odette (Romy Schneider, then 26 years old). Pablo Picasso: I do not look for, I find! A-one-of-a-kind look at the artistic process, the unique art documentary captures the creativity itself. Two friends, the great painter and the great director, Pablo Picasso and Henri-George Clouzot decided to do what Goethe's Faust had dreamed about - to capture and to store forever the moment of beauty and inspiration. Picasso conceives, sketches, and paints twenty canvases before our eyes as the camera rolls. The film did not solve the mystery of Picasso who had said about himself, "When I was 9 years old, I could paint like Rafael; as an adult, all my life I tried to learn how to paint like a child" but it lets us to be the eye-witnesses of the amazing process - the birth of twenty works of art into existence. Twenty exiting moments the only Artist could live through are captured forever for us to enjoy again and again. Clouzot uses a specially designed transparent 'canvas' to provide an unobstructed view and different techniques including slow motion animation to let the main character, the invisible Picasso's brush speak for itself. The film is accompanied by exquisite music and gorgeous photography by Claude Renoir, grandson of impressionist painter Pierre-Auguste Renoir and nephew of Jean Renoir. The paintings created by Picasso in the film cannot be seen anywhere else. They were destroyed upon completion of the film. The French government has taken over the preservation of the original negative and has declared this truly unique and priceless documentary a national (and I would call it an international) treasure. Criterion DVD also includes "Guernica", a short documentary directed in 1950 by Alain Resnais before any of his feature films. Picasso's "Guernica" is one of the most famous paintings of the 20th Century which was created by the artist in response to bombing and destroying the ancient Basque town of Guernica by German aviation on April 27 1937 during Spanish Civil War. The painting is a passionate protest against war as well as the fascinating work of art. 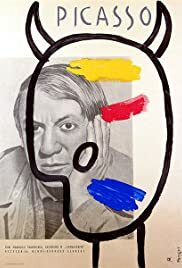 Resnais' 13 minutes short film is based on paintings, drawings, and sculptures by Pablo Picasso from 1902 until 949 including "Guernica" and is set against the ode written by French lyrical poet Paul Éluard and recited by Jacques Pruvost and María Casarès. In his early short film, Resnais already uses his famous jump cuts and cross-fades. "Guernica" is a valuable feature which goes well together with the marvelous "The Mystery of Picasso" and adds to understanding one of the most prolific and mysterious Artists of the last century.